The first project under the new partnership has ADB SAFEGATE providing high-mast apron lighting at Boston Logan International Airport’s Terminal B with Musco’s Total Light Control – TLC for LED® technology retrofitted on existing poles. Using Musco’s 40-year history of application and system design expertise, TLC for LED technology provides light with pinpoint precision and a level of light control and uniformity that can’t be matched. The company’s factory-aimed, wired, and tested system uses a combination of reflectors and patented optics to direct light where it is needed without creating disruptive glare for pilots, air traffic controllers, and ground crews. The prior lighting at Logan was not energy-efficient and required frequent maintenance and lamp replacements that impacted airport operations. With the new system in place, energy consumption has been reduced by 47 percent at Logan International Airport. This energy reduction will reduce emissions by 1,000 tons of CO2, which is equivalent to taking more than 200 cars off the road for one year. A 10-year parts and labor warranty, backed by Musco’s team of trained technicians, eliminates all maintenance issues and related costs for the next decade. 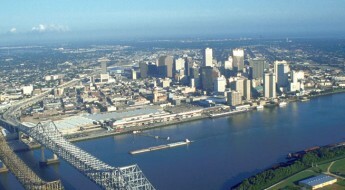 In all, the airport will cut operating costs by more than $265,000 over the next 10 years. Musco Lighting is a leader in sports, transportation, and infrastructure lighting, and in the past few years alone has installed customized LED apron systems at major airports in the U.S., U.K., and Canada, including the Boston Logan International Airport, Las Vegas McCarran International Airport, Los Angeles International Airport and Vancouver International Airport. 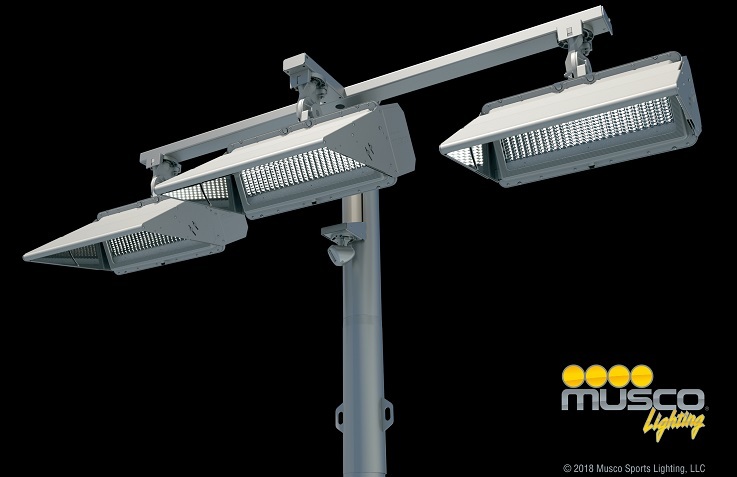 Musco’s LED systems are available as a complete solution, from foundation to pole, or as a retrofit on existing structures. Your ADB SAFEGATE sales manager is your point of contact for Musco Lighting. 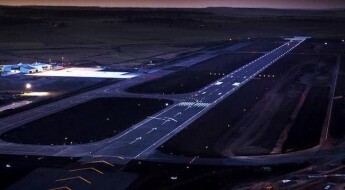 We will work with Musco to prepare a professional lighting calculation and cost proposal and create a customized build solution to meet the specific needs of your airport. ADB SAFEGATE and Musco will be there to support you from the planning stage to installation and through the life of your lighting solution. Your customized solution will include an impressive warranty and maintenance program covering parts and labor that guarantees you won’t have to touch your apron lighting or pay to maintain it for 10 years.